Connect to your growing baby and other mothers-to-be in a nurturing and supportive space. A class designed to guide you in strength, presence, and spaciousness of body, mind and heart during all stages of pregnancy. Vinyasa flow, wall postures, breath exercises, yin, restorative, meditation and a deep mother-baby savasana coalesce to make this a rejuvenating and soothing session for you and your baby. 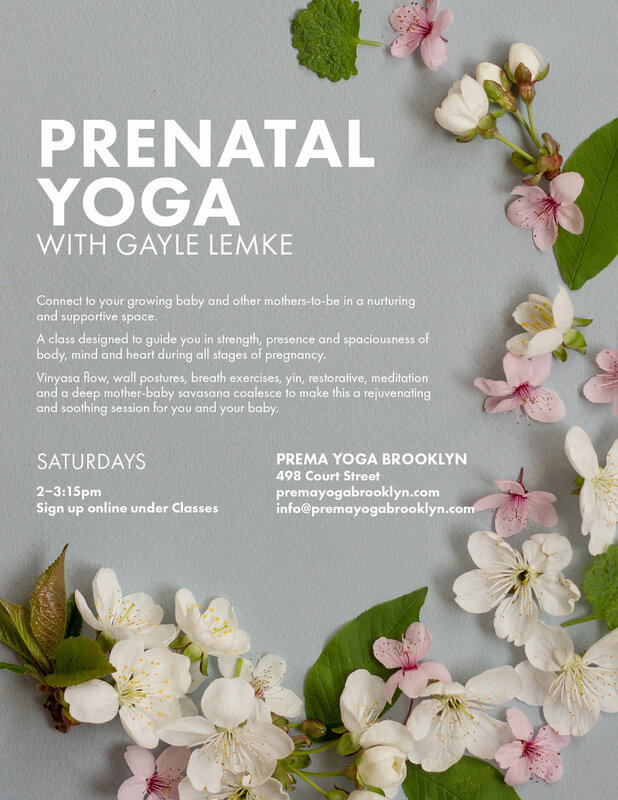 © 2018 Prema Yoga Brooklyn. All Rights Reserved.